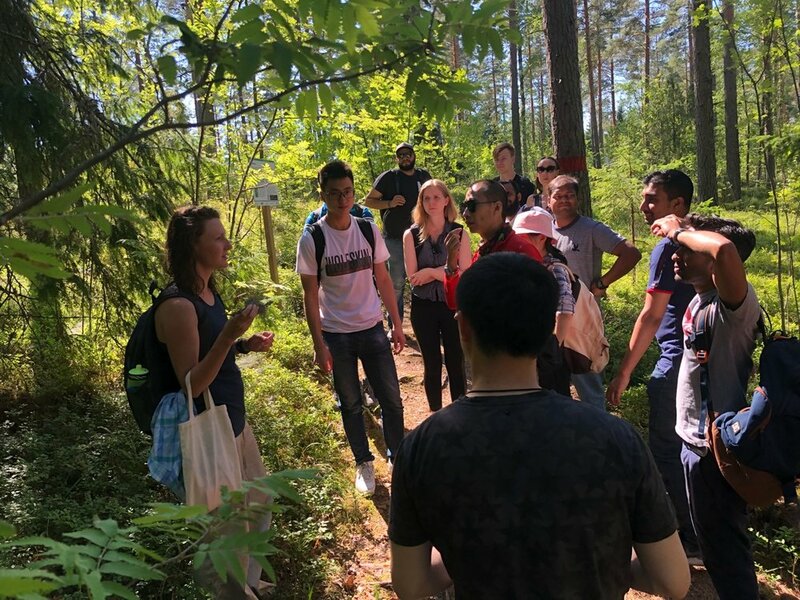 Going to the biotrail with a group of students within systematic creativity course of LUT summer school. Sunshine, swimming, boat trial and of course lots of inspiration from the nature! This time we did an experiment with a pine cone right there in the forest. We put several dry open pine cones into a plastic glass with water from the lake. And in about an hour they were already closed. This cloud of words is based on students' impressions!